Exercise is good for everyone, especially children. Barcelona offers year-round sports activities and runs awareness campaigns on the benefits of doing sport. Discover all the children’s sports activities available at school, and at the sports facilities and summer casals (centres) around the city. Barcelona provides many initiatives that help people in vulnerable situations, especially children. To tackle negligence, abuse or situations of risk for children and young people, the social services network carries out a wide range of actions and provides qualified support teams. You’ll find various child-oriented services, like the continuous vaccination plan and prevention and promotion programmes in schools. 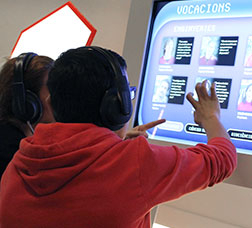 Barcelona offers programmes such as "Growing with you", which is aimed at parents with children under the age of 3. You also have resources for using technologies in education. 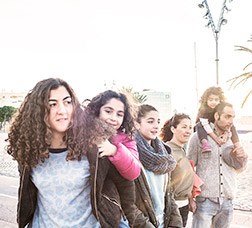 Find out about the resources, aid and services available in Barcelona for families and access the procedures for applying for them. This is an inclusive programme aimed at social organisations that work with people in situations where they are at risk of social exclusion.